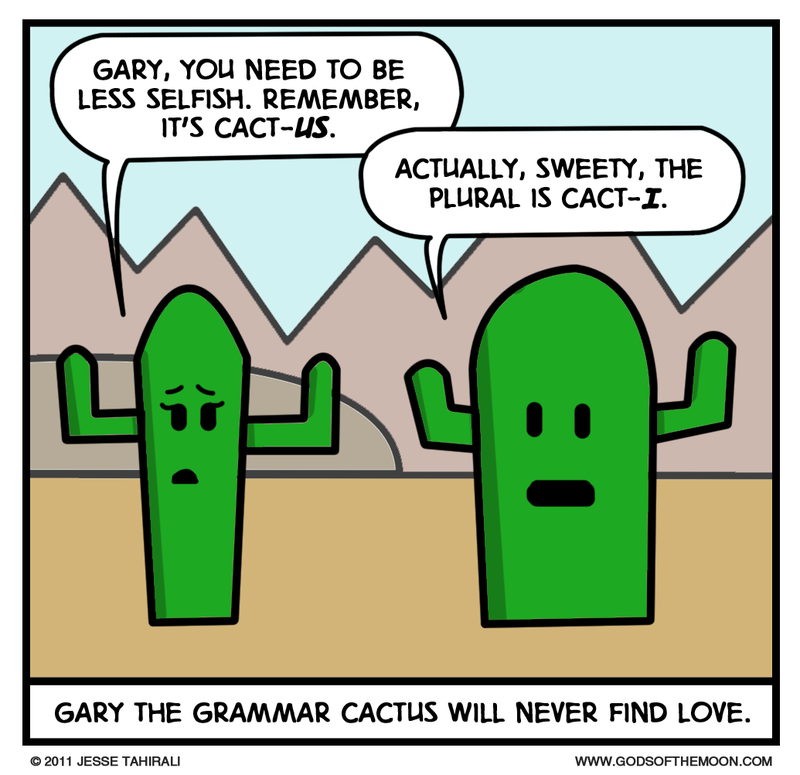 cactus will never find love.. yeah, they are jut too selfish when in a relationship. Great... now I also know the plural form of "calculus" is "calculi"
But is it the case of "campi" for "campus"? I'm not sure about campi, but I did find ani. Dude! You guys crack me up!